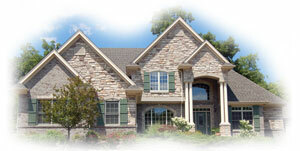 Paragon Appraisal Group has been serving the Bay Area and beyond since 1992. We can usually turn reports around in 48 hours from inspection. We can also match any competitor's price for an assignment. or you can register through our website at www.paragonappraisalgroup.com. We are now staffed with FHA approved appraisers! We do appraisals for all lending transactions (purchase/refinance), but we also specialize in date-of-death appraisals, estate tax appraisals, property tax appeals, pre-listing, pre-foreclosure, divorce, bankruptcy, litigation, historical/retroactive, etc. We accept cash, check, or Paypal on-line. BayAreaForSale.com is the one of the top sites for California Real Estate, including Pleasanton CA Homes For Sale, condos, multi families, and townhouses for sale. BayAreaForSale.com also services Vacaville TX Homes For Sale and Napa CA Real Estate.